Orchestra of Exiles is now a book. Some stories get lost in the turmoil of their times. It is often only in retrospect that we can discover the true shapers of history. 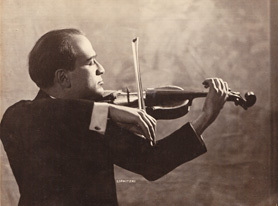 One such man is the prodigious Polish violinist Bronislaw Huberman. 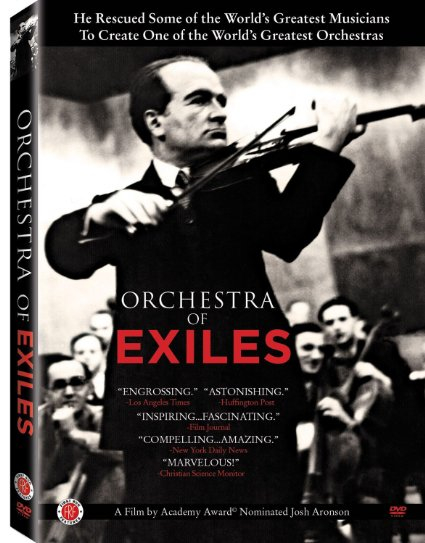 ORCHESTRA OF EXILES explores this great man’s 4-year odyssey, which culminates in the founding of the orchestra that would become the Israel Philharmonic. His fascinating story touches many of the major themes of the 20th century and the unfolding drama of his life is riveting. 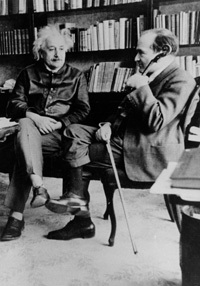 Bronislaw Huberman with Albert Einstein who was instrumental in raising the funds to start the orchestra. In the early 1930s Hitler began forcing Jewish musicians out of orchestras across central Europe; never before had so many experienced players been jobless simultaneously. 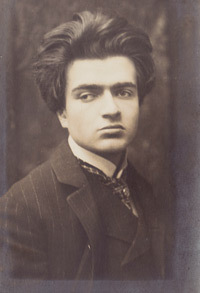 The Nazis unwittingly presented a unique opportunity and with the short window of time still available, Huberman dedicated himself to fulfilling a dream. The struggle to create the Palestine Symphony is a densely layered story with a range of key characters that could hardly be more diverse. Among them: a high Nazi official, Goebbels; renowned conductors, Furtwangler and Toscanini; a future head of state, Chaim Weizmann; and the families of victimized Jewish musicians who made up the ranks of orchestras across central Europe. Even the most famous Jew in the world played a role; a man who, among other pursuits, was an amateur violinist who liked to read music with Huberman - Albert Einstein. Huberman knew that his orchestra would serve a broader purpose as well - a top flight orchestra of Jewish immigrants would be a powerful tool to fight the savage anti-Semitism spreading out from Germany, and it would build the prestige of Jews. Huberman foresaw that by arranging for these families to emigrate, hundreds of Jews would be saved whose fate would otherwise have been the gas chamber. In all, Huberman saved close to a thousand people. The story of the founding of the Palestine Orchestra is our narrative story, but the film explores some profound psychological questions: How did living through WW I and the Depression change Huberman from a self-absorbed eccentric genius into an altruistic statesman dedicated to egalitarian politics and humanism? 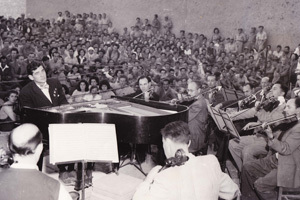 How did Nazism and its cultural policies ignite Huberman and inspire him to bring music to Palestine, to save Jews and to fight anti-Semitism? These are the paths our story tracks: the timeless tale of a brilliant young man coming of age and the suspenseful chronicle of how his efforts impacted cultural history. Perhaps most important, the film challenges us to look inward and ask the hard questions: how would I have reacted and what would I have done in the face of those momentous events in that terrible troubled time?